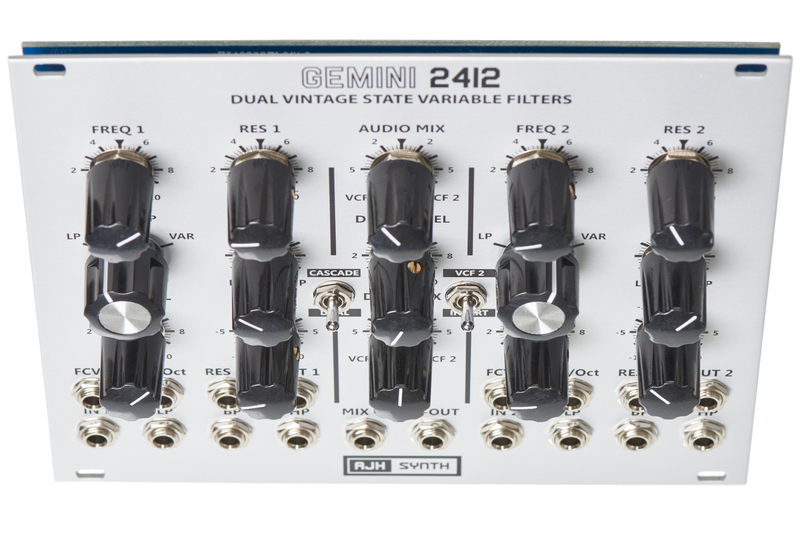 This module comprises two fully featured, and beautiful sounding 12db multimode filters, based around the classic vintage SEM filters. 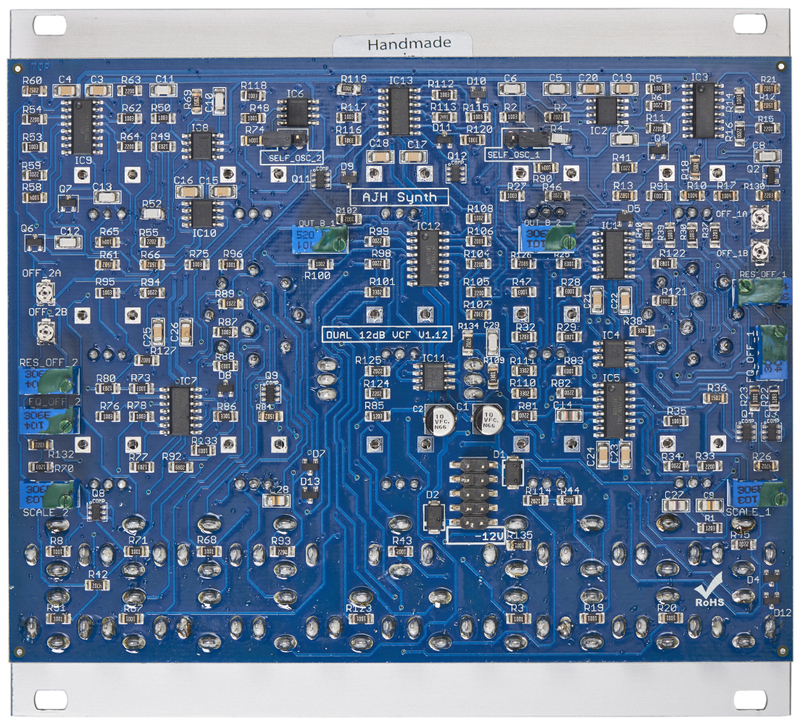 Each individual filter has LP, BP and HP outputs, along with a variable output that can be swept from LP through to HP response, with a notch effect at centre position. All of the outputs are available simultaneously, and there is Voltage control of Frequency and Resonance amount. There is a switch that connects them into either Serial (cascaded) mode, or Parallel (Dual) mode. In both of these modes the four way rotary switch is used to select the individual filter type. 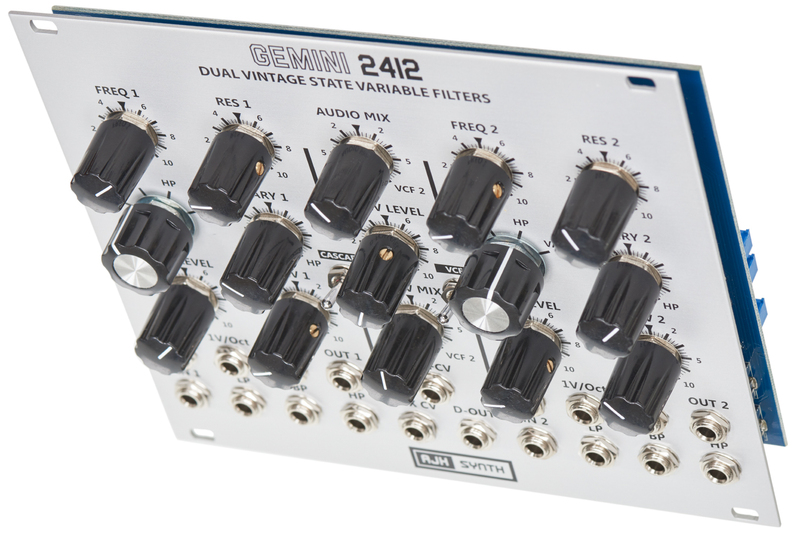 The Dual FCV Controls allow add a frequency CV simultaneously to both filters, the second FCV Mix control that determines how much of the Dual FCV goes to VCF1 and VCF2. So this allows a range of filter effects with a single control voltage. 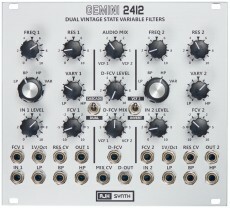 In dual mode the two filters are connected in parallel, and can be crossfaded between them using the Audio Mix control (CV controllable). 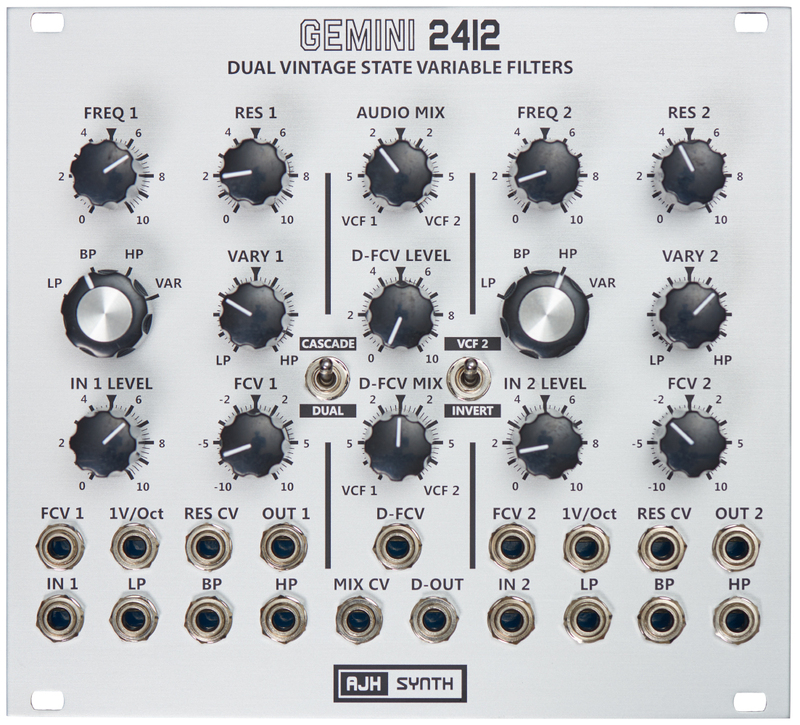 There is an "Invert" switch, which reverses the phase of one filter against the other, which allows further variations in filter response in Dual Mode.